Everyone is in the business of innovation. We are always looking for simple hacks to increase efficiency in any way possible. Time to systemise. Time to think different. Subsequent to our inventive workshops, Design for Persuasion: The Science of Persuasion, Influence & Habit Change, in June and October also at the 5 Star Fitzwilliam Hotel and due to popular demand, we are running another public full day workshop. 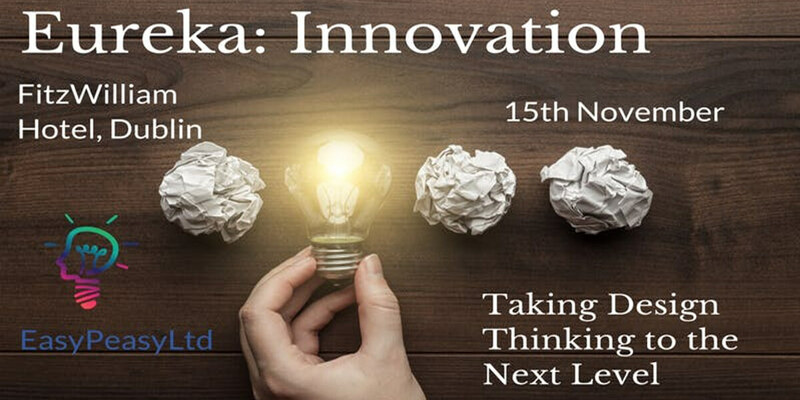 This workshop teaches patterns of innovation that primes creativity to be implemented into your business. This Design Thinking talk teaches how to employ a variety of techniques and methods derived from Behaviour Science/Behaviour Economics, Neuroscience, Psychology, Cognitive Behaviour and nudges. CEOs striving to reconstruct and improve their existing businesses. Entrepreneurs who want their business to take off and surpass their competitors' performance. Marketers seeking to improve the entire sales funnel by adopting a persuasive “mind of the customer” user-centric approach. UX designers who want to improve the conversion rate of e-commerce sites or build membership by creating a persuasive experience. Project managers interested in building online businesses that engage users. Software engineers who want to integrate “soft skills” into their projects by utilising psychology, behaviour science, neuroscience, sociability, and design. Newcomers to design who are looking to expand their knowledge of the industry. Anyone who wants to set up his/her own online business, product, or service. Places are limited to keep class size to be small enough to make this a deep learning experience. You are encouraged to bring your team so that you can ensure consistent & rapid implementation of these techniques in your business and company culture. The aim is to be practical and hands-on. During the event you will get a chance to apply these techniques to an actual business.